This fun and dynamic course incorporates storytelling and play to build up flexibility and strength, through a range of yoga poses and sequences, as well as boosting self-confidence and imagination. 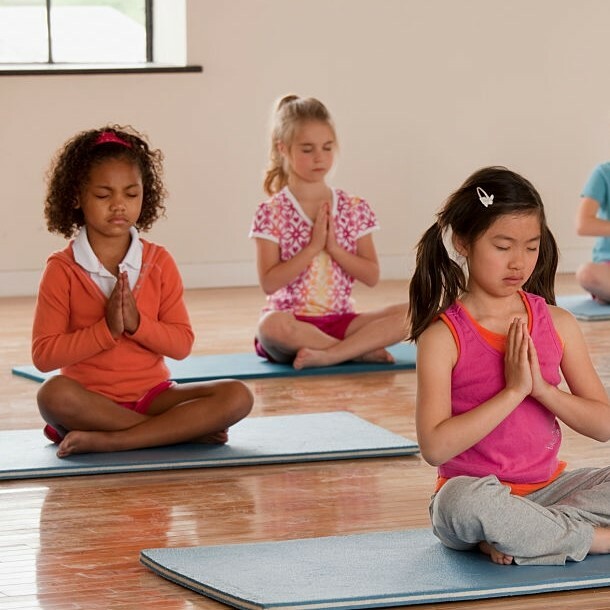 The classes are specifically tailored for developing bodies and minds in each age group, following the successful Little Greene Yoga teaching methodology, and are a perfect way to introduce yoga to children, giving them valuable skills for self-calm, to cope with later anxiety and stress. Isabella Sumsion has completed her Yoga Teacher Training at Little Greene Yoga School. We run two kids classes at balance, one fore 3-5 year olds and one for 5-8 year olds. Kids yoga class for kids aged 3-5yrs: Each class is an adventure based around a different story! The stories are lesson oriented, relevant and most of all fun. Each pose is a based on yoga postures but kept simple and relatable for children, and the class is short, just 30 minutes, and poses are constantly flowing to encourage focus and energy release. Then at the end of class the kids cool down with some calming breathing exercises. Kids yoga class for kids aged 5-8yrs: This class is a full aerobic workout, including a warm up, yoga postures and a cool down with breathing exercises. Poses are held for a bit longer and the class runs for a bit longer (45 minutes). There is a bit more focus on alignment and technique and some working with partners. 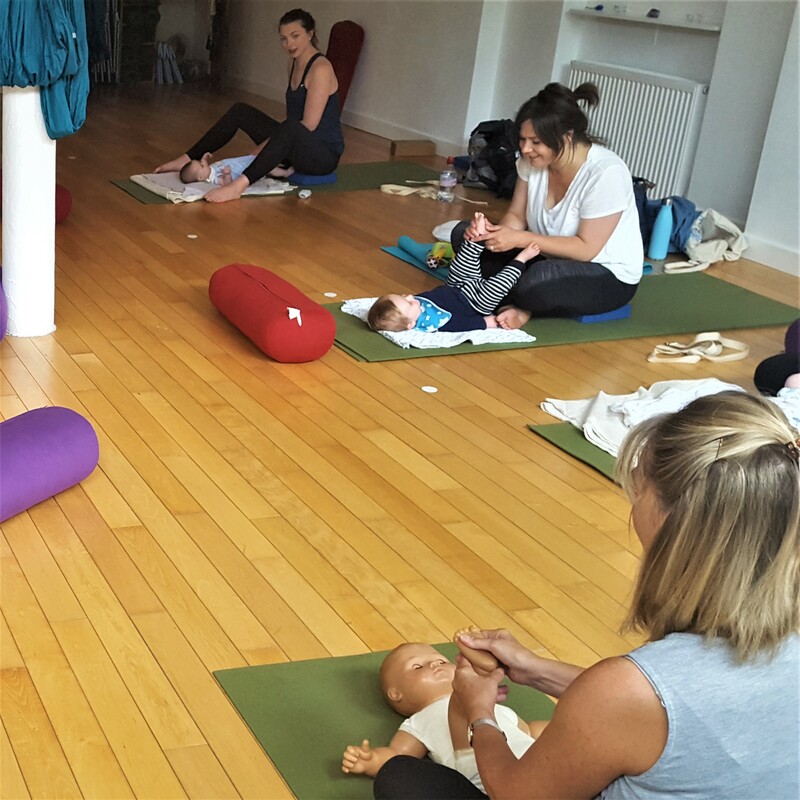 Mum and baby yoga at balance is fun and informative. Suitable for mums with babies 6 weeks to 6 months, no previous experience of yoga is required. Our bright and welcoming studio is the perfect environment to enjoy class with your little one. A dynamic, fun class based on the successful Little Greene Yoga method. Incorporates story-telling a play to encourage imagination, self-confidence and body awareness in developing bodies. Saturday 23 Feb.